In this post I share the future of the Trade Exchange (barter) Industry and explain why the standard business model is essentially unbiblical, and why, when we truly understand traders, the barter industry will have to change it’s business model to counter the arrival of multiple currencies and settlement systems. It won’t, so therefore while the rest of the world will move on and away from ‘legal tender’ currencies to alternatives, Commercial Barter will continue to stagnate. It will always have a presence and will perform a role, but it will be severely crippled. A friend in the barter industry called recently to discuss the future of the industry. My advice was essentially that the industry has a structural problem confusing the role of an issuer of a currency with that of a business generator. Thus it will be challenged increasingly severely with the arrival of Bitcoin and other alternative currencies. Just like the arrival of the Internet changed the global distribution systems from a controlled (you must buy from our distributors – who will not share proprietary information like the sources of manufacture or margins with you) to an Internet-based global information sharing and sales system – so too will multiple currencies undermine the existing trade exchange business models. The way to understand this is to understand a trader and human nature. In a nutshell traders will use whatever currency or settlement system they want. 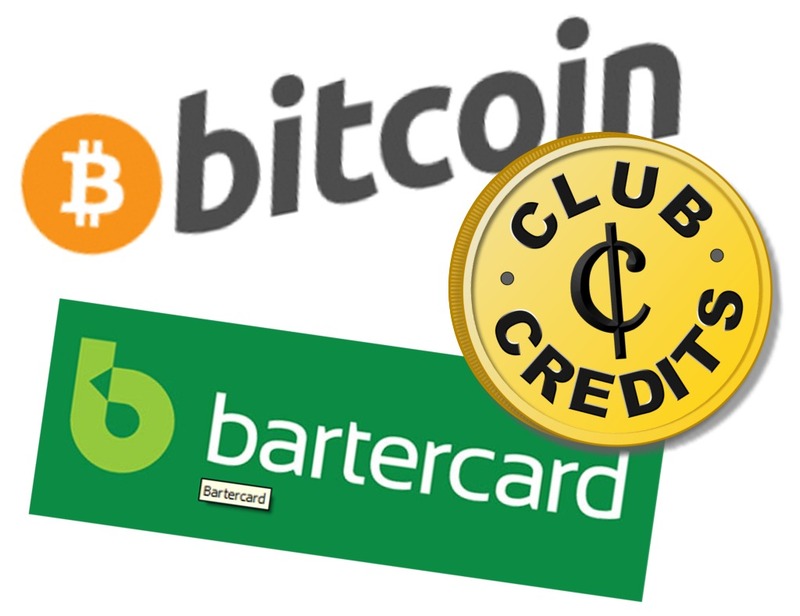 Bartercard for example will attempt to secure all settlements between their members using their own currency because they get commissions on turnover. Traders however will naturally assess the various value of a Bartercard trade dollar or a USD or a Euro or a Bitcoin or any variant at the time that they conduct a trade. They then use the currency that they think will return them the best. Some of this will be pragmatic decision-making. Some of it will be greed-based. Some of it will be wise. Some foolish. While a Trade Exchange may peg their currency 1:1 against the local currency and bleat about the fact that their currency is worth X, Y or Z, traders will always establish the true value amongst themselves. This is why people are dumping and will continue to dump the USD as they see it devalue. As a trader in New Zealand I, along with my trading partners always established the method of payment independently of the trade exchange that introduced new business. I always ensured that if a BBX client approached me that I conducted SOME business with the BBX currency, as this was only fair to the Trade Exchange that had done the work introducing. Thereafter however it was open slather and we would trade how the other trader and I felt beneficial. A hypothetical transaction may contain various components of trade and settlement terms. A trader could easily say for a $5,000.00 trade, OK I’ll take $T1,250.00 on BBX, $T3,000.00 on Bartercard, $500.00 worth of your goods (contra) and $500.00 cash. In this example the traders could have valued the BBX currency a little lower than the Bartercard currency which was itself a little lower than cash. When a trader trades, they assess the value of the currency being used AT THE TIME OF THE SALE and as it suits them. I traded with New Zealand Barter and valued it at 10c in the dollar then as worthless at the end of its life. Most of the time I valued Tradecard/ITEX/BBX at 60-70c in the dollar and Bartercard anywhere from 80-90c depending on my own needs for the currency at the time. The point here is that a currency issuer (or any outside assessment agency) cannot usurp the role of a trader to value a currency. We traders will make the final decision on valuation – always! As an aside, facts and reality may not be the most important component in the valuation, as perception is more important than reality – thus the central banking cartel create the impression that the USD is backed by something other than thin air; that one needs to use the legal tender currency for commercial transactions (when it is only ever needed to pay taxes); and that the charging of interest on borrowings is standard, normal and good (when it is totally unnecessary, except for the benefit of the banking fraternity). This also explains why Bitcoin (which is essentially just another form of tulips) can garner enormous support, and why a plethora of other coins will all have their day in the sun but will all fail, eventually. The solution for savvy operators in this space is to restructure a typical trade exchange to separate the two components I’ve mentioned into their two separate functions. When a trade exchange operates as an exchange (and not an issuer of a currency) it becomes a social operation, not a financial or accounting one. Thus it creates value for its members by initiating, facilitating and enabling trade. It could and I believe should charge for that service and be rewarded for that service – be it face-to-face; Internet-based and/or localised or global it doesn’t matter. What currency their traders then use doesn’t matter for the volume of business has no bearing on the exchange’s income. Their services are rewarded for what is actually provided. The currency of choice then will be no threat to, nor concern of the true Trade Exchange. This is a significant change to status quo so will be unlikely to ever occur in practice because of a closed mindset. The industry will most likely hunker down and protect their patches and businesses and fight amongst each other for whatever business they can generate in the coming turmoil. The benefits of structural change to distance the two functions of marketing and a currency are profound. From a Christian perspective, receiving commissions on turnover is a form of theft; it is in the main ungodly and anti-scriptural. Capitalism is widely espoused as the natural way of things. It’s not. It’s actually unnatural (although we’d be hard to see that in today’s Western world) and engenders greed. The biblical principles that a man who works harder (or smarter) gets more is balanced by the idea that this enables us to give, bless and help more. Jesus teaches the errors of capitalistic thought when He talks about the different men all receiving the same [subsistence] pay based on their need, not work on the work provided. This is contrary to the idea that the man who is smarter deserves more for himself than the man who is not, one of the founding principles of Western-style commerce. Applying this principle into the barter industry then, the idea that a trade exchange makes more commissions on a $1 million dollar trade than a $10.00 trade for the same amount of work, can be seen to be fundamentally immoral when an introduction is an introduction is an introduction. Sure this idea may be obnoxious to some and is uncommon in Western society but the core principle is that a business based on greed must fight with others to build and protect its income sources. Such rich pickings are indeed an attractive target for alternative solutions. The danger of the existing business models is that should some currency come along that is more attractive to the traders than (for example) the Bartercard Trade Dollar, then they are enormously exposed. Worse than that, it will be their top traders who will take-up first and most aggressively. The more that there is something in it for them, the more aggressively they will undermine the incumbent. In a practical sense we can see this has happened over the years as various low-fee Trade Exchanges have undermined the incumbents’ business. Countering the threat with “but you can trust us more than them” (the only real option available to the incumbent) works only as long as the new guys appear to be new guys. The instant that a newer currency becomes the payment method of choice, Bartercard et al will take major hits. Should a currency arise that is trustworthy, easy to use, and have appeal to traders, Bartercard members will still continue to trade in Bartercard Trade Dollars when it suits them but will naturally prefer to use the newer currencies, be they Bitcoin, Bitcoin eqauivalents clones or other developments. The take-up of the Euro is an example of this type of transition in the legal tender world but the cat is now out of the bag in currency circles and the world post-Bitcoin is now a very different beast, young and virile! Accept the threat and engage with the new currencies in various ways that assist their members and from which they can still profit somehow. This may include offering different membership offerings that actively include alternative settlement currencies and/or putting their own currencies outside of their membership systems. The Barter industry is not dead, it never will be. There will always be people setting up traditional Trade Exchanges getting their local communities support and making a buck off them with their own currency. They will continue to come and go with monotonous regularity as they build their members to the magical 300 number then succumb to the same ills that most of them do then dissolve with most members holding an evaporating devaluing asset of worthless Trade Dollars. Meantime many currencies too will come and go. Bitcoin equivalents, clones and offshoots that are set-up the world over all built on the blockchain technology that Bitcoin introduced and proved will be the flavours of the decade. Most will fail and because all are based on the bigger sucker theory – that they are a commodity because some bigger sucker will likely come along later and pay more for it than I did – they too will be found in the end to be nothing more than tulips. Reverting to pure Mutual Credit, using the modern technology to enable it and to do so with a floating international currency, with strong relationship-building is a solid business practice. We’re back to the good-old days in the future! The greatest travesty within economic education is the deliberate omission of interest-free money.